In this episode I talk with a guy who bought his first distressed deal at 19 years old, 30 years ago, it was a busted condo deal that turned into a $10MM condo project in the Bronx. He’s since completed $2.5B in deals as a principal. Today my guest runs multiple private equity funds. He’s completed billions in deals. His funds regularly return 13-18% year after year. 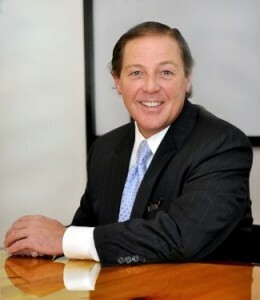 He was named New York City’s Developer of the Year, he was a nationally ranked general contractor. Today he runs the 100 Mile Fund that provides capital for turnarounds on construction project providing bridge, or rescue capital, as well as expertise. Billy sees the biggest opportunity today in the distressed construction market, and I tend to agree. Today 39% of the REO with US lenders is construction REO, that’s more than $15B at 3,461 banks across the country. There’s more than double that in late and non-performing construction loans. In this podcast we hear about how Billy is capitalizing on this opportunity and how you can too if you have the right team. I just wanted to write in to say thanks for this interview and all of the excellent resources you provide. In the near future I will be positioning myself to be able to pursue construction assets in default by brokering capital or negotiating sales. Once I’m ready I’ll definitely subscribe to your service. Thanks again.